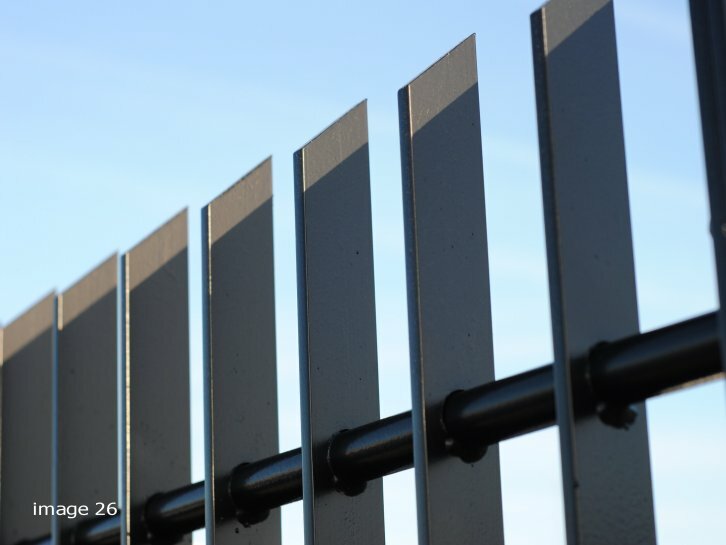 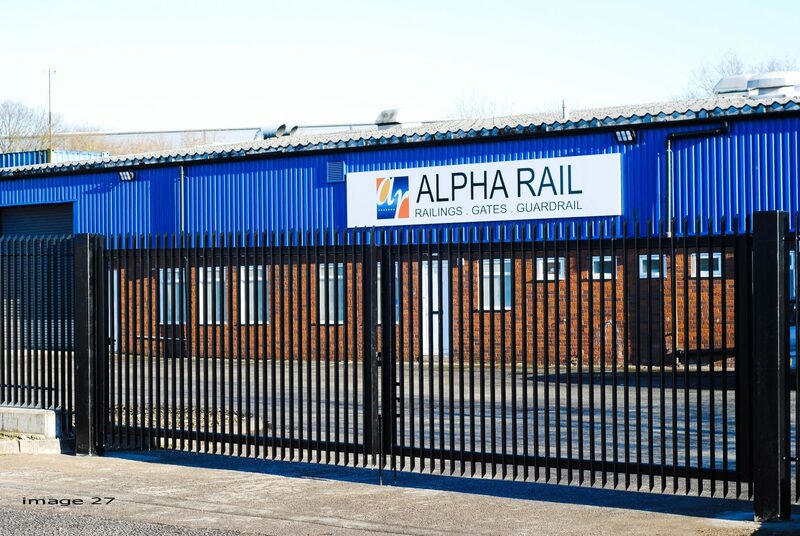 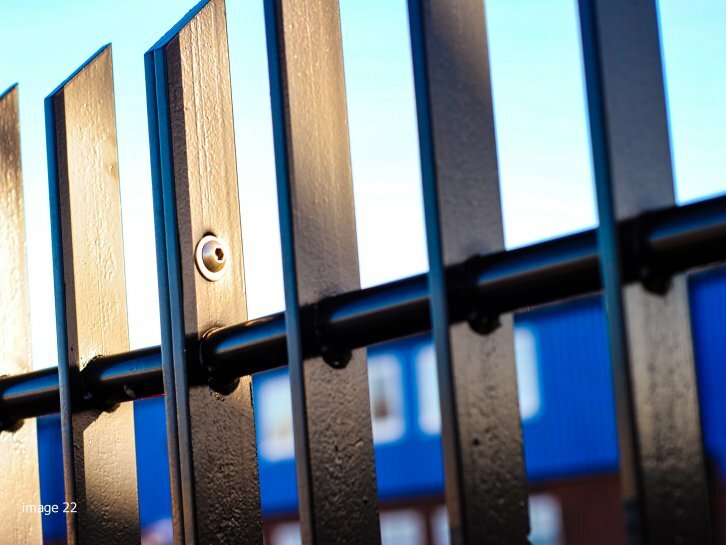 We have complimented the Alpha Rail range of metal railings with an option to manufacture panels with flat infill bars as an alternative to the traditional round or square infill bars. 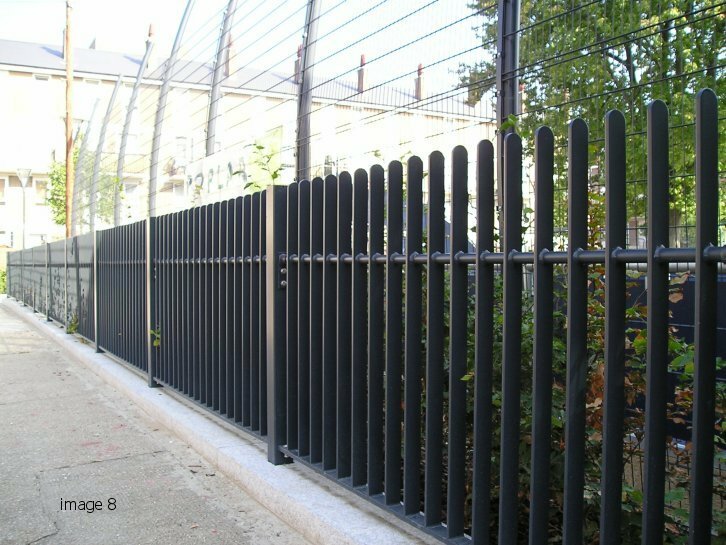 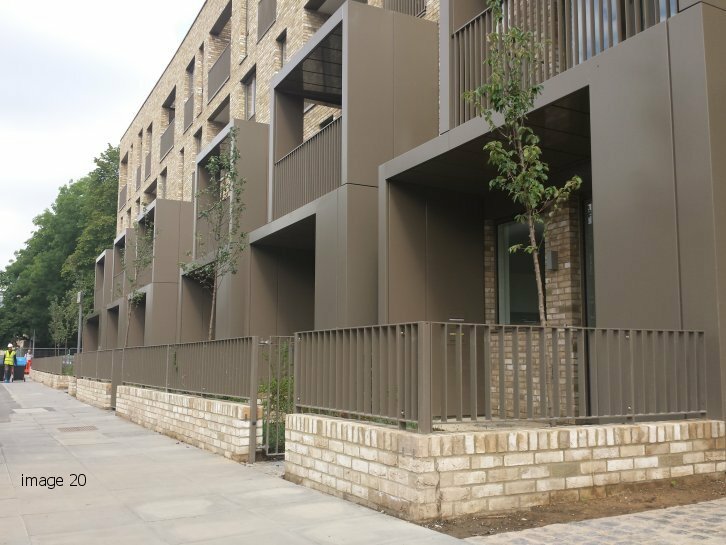 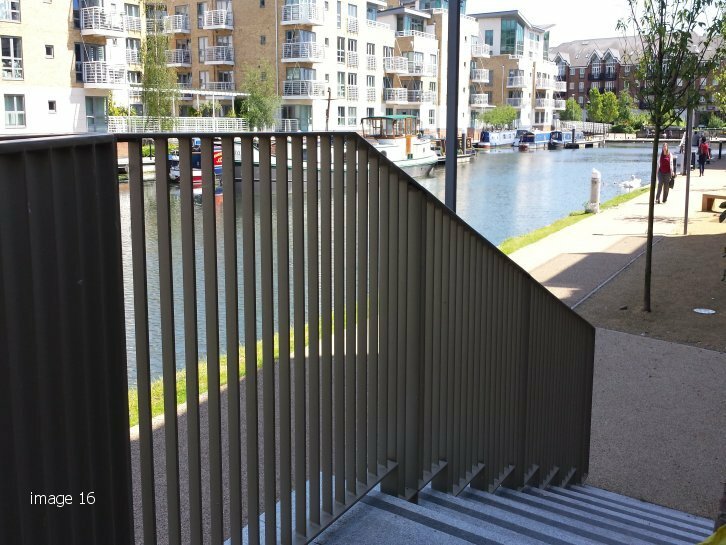 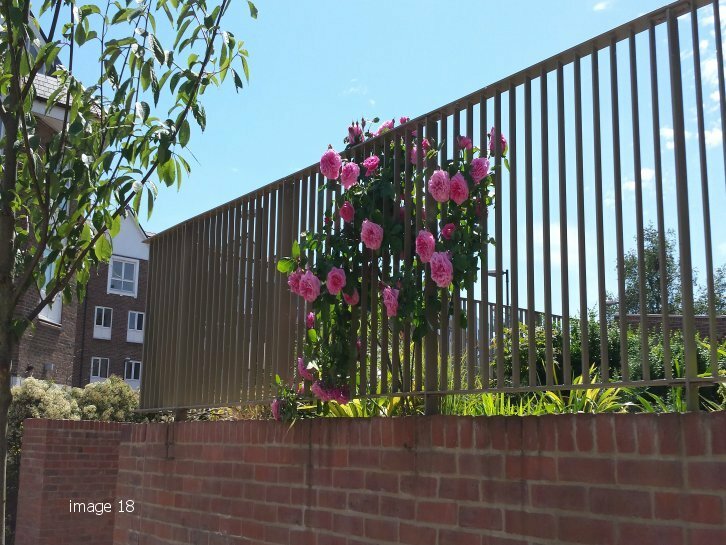 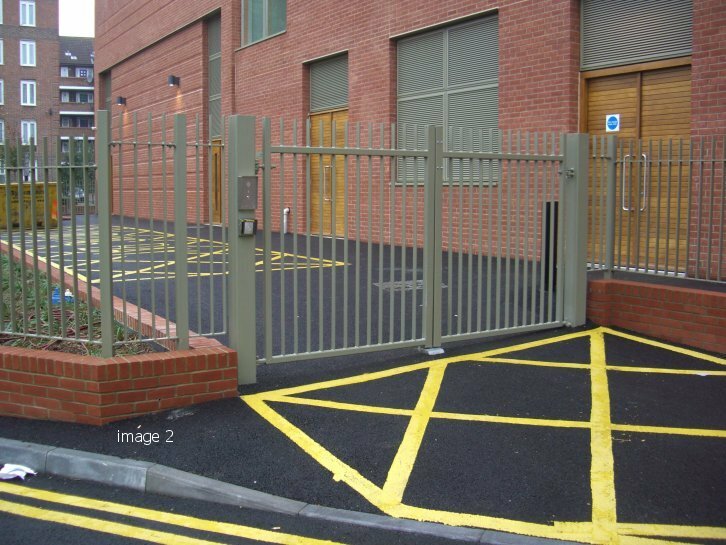 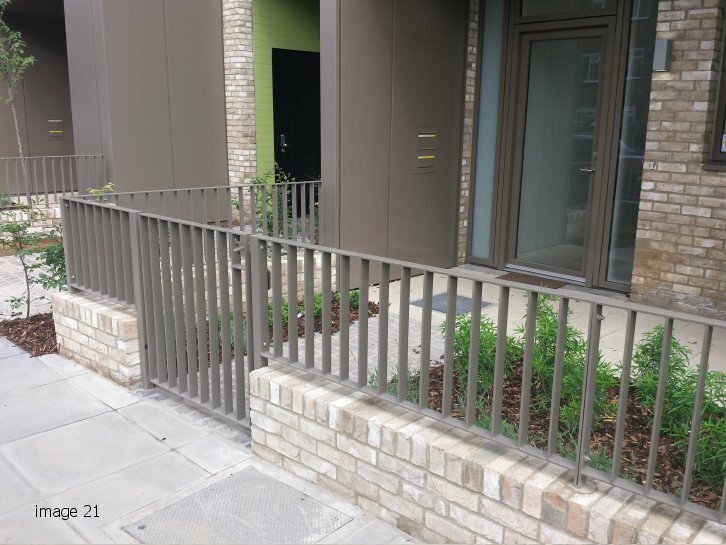 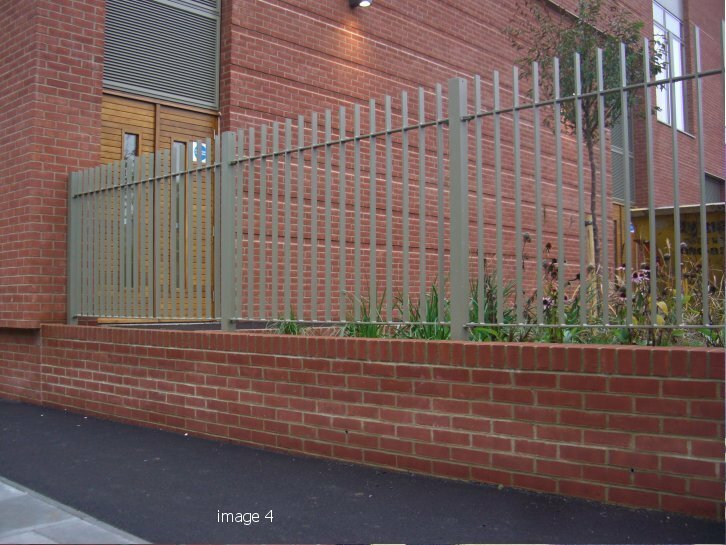 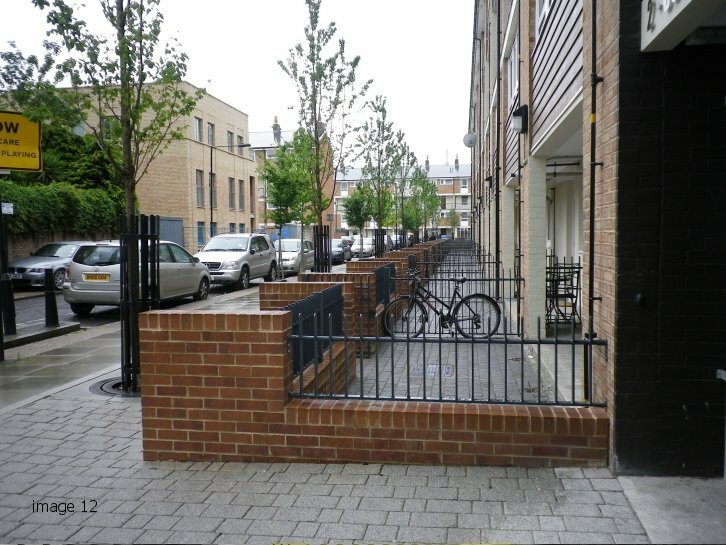 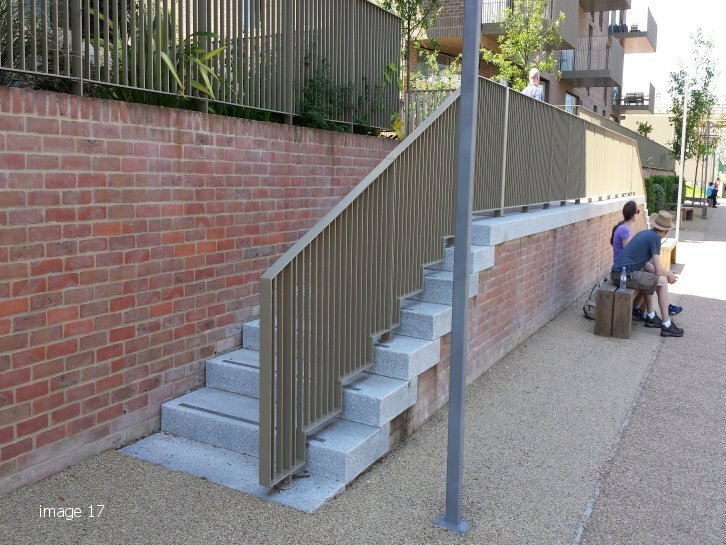 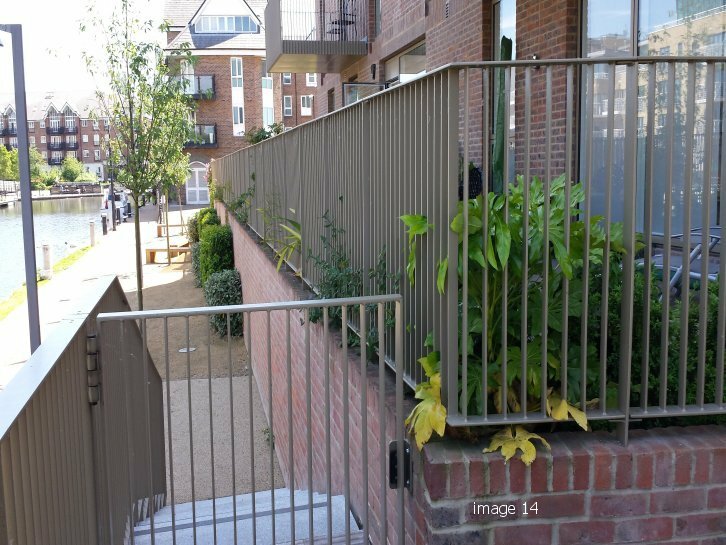 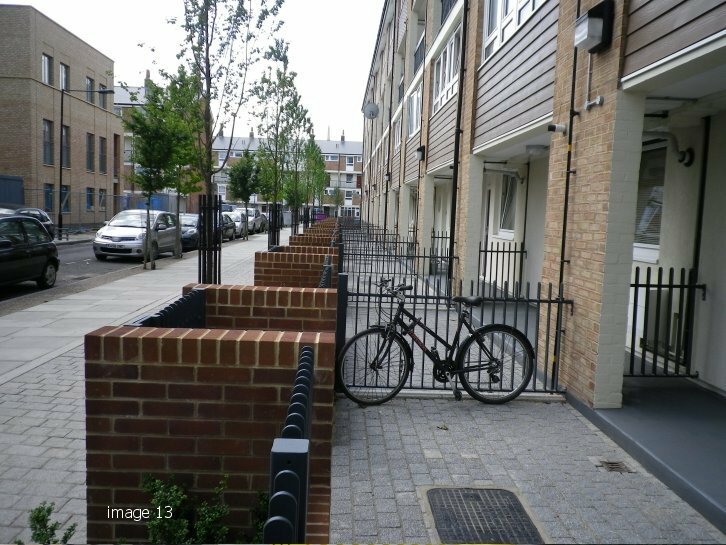 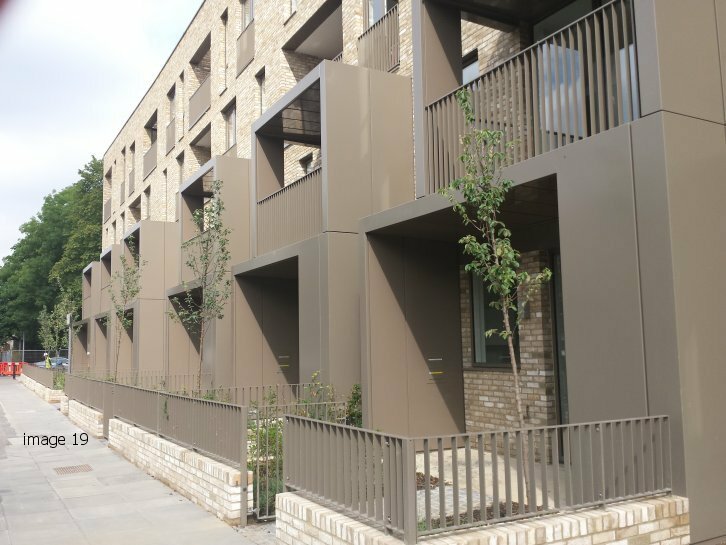 Flat infill bars have proved very popular with architects, designers and contractors as they deliver a differentiated look to the completed metal railings project. 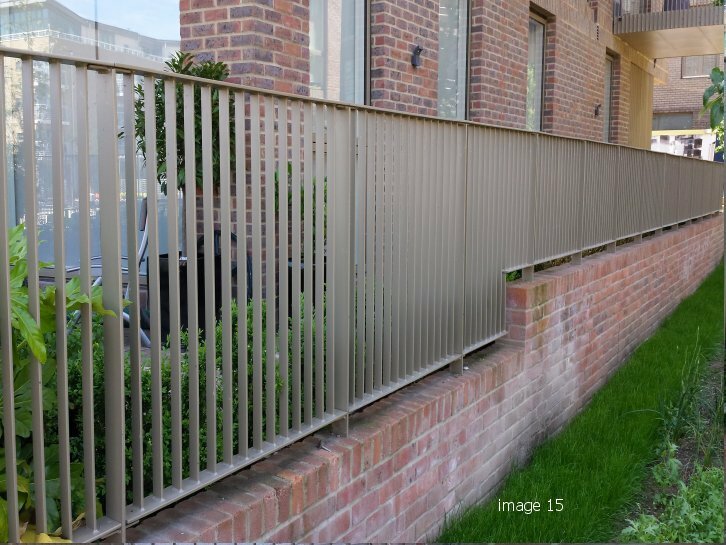 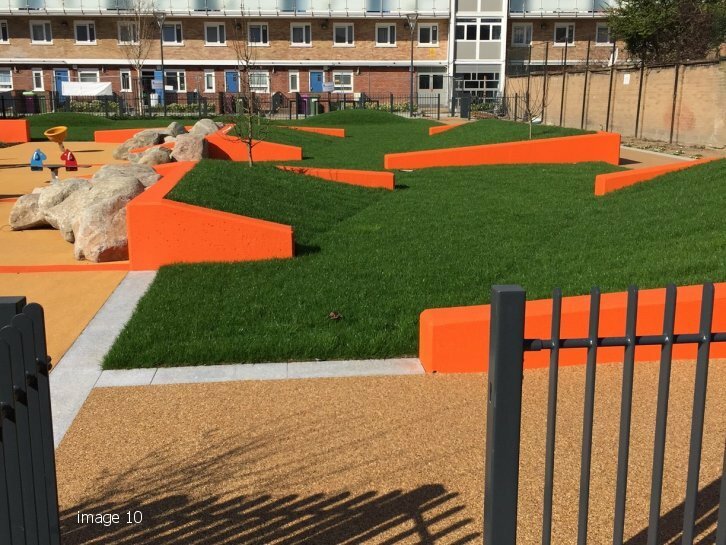 The fact that the infill bars are made from rolled steel flat (RSF) give the finished product a contemporary modern appearance which has caught the eye of landscape architects over the last few years. 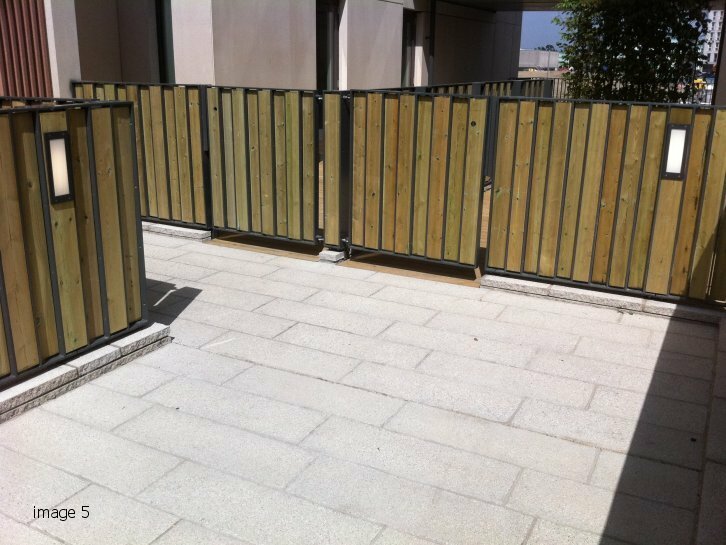 We have supplied this product on many projects including the high profile Athletes Village for the London 2012 Olympic Games. 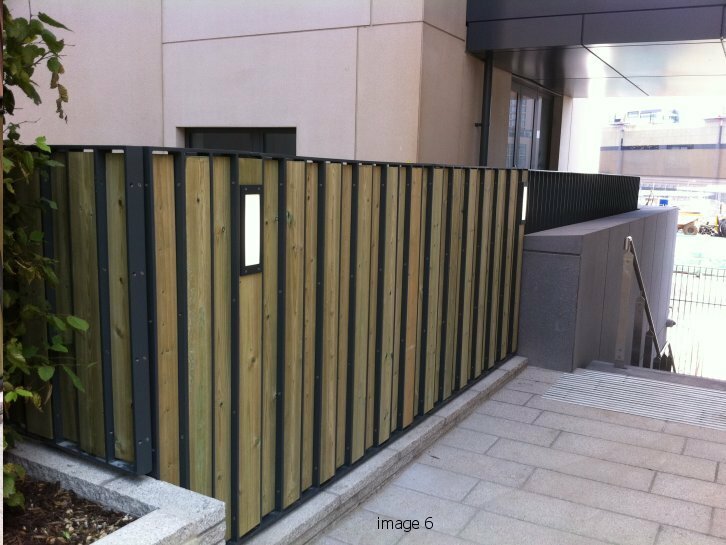 The flat bars on this contract were complimented by the use of front and rear fixed timber planks to form a privacy screen. 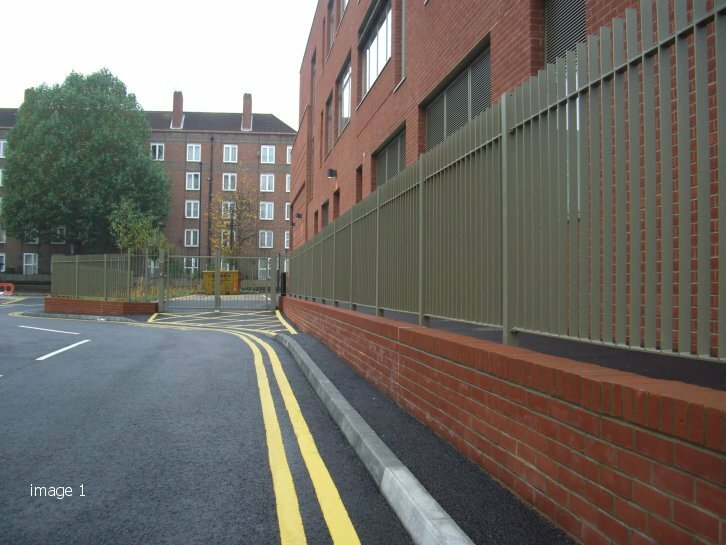 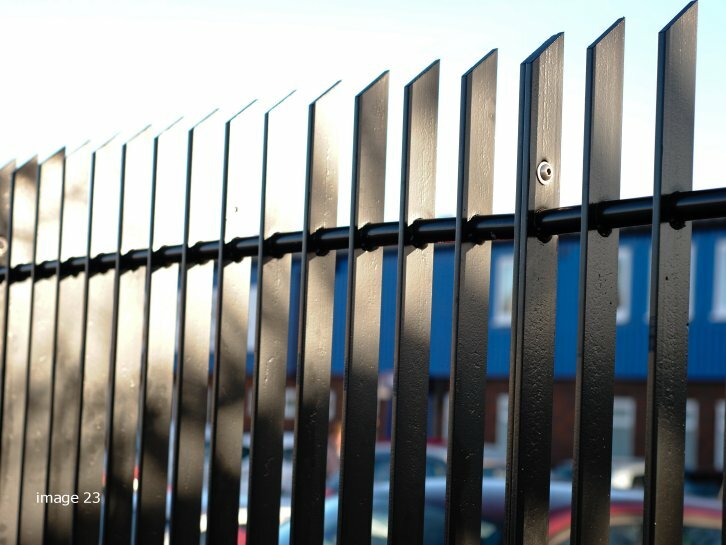 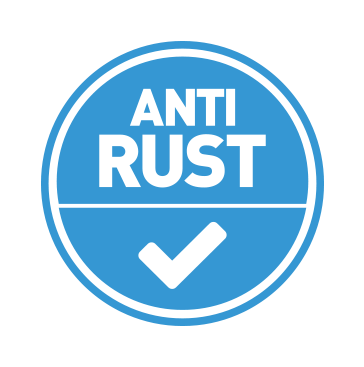 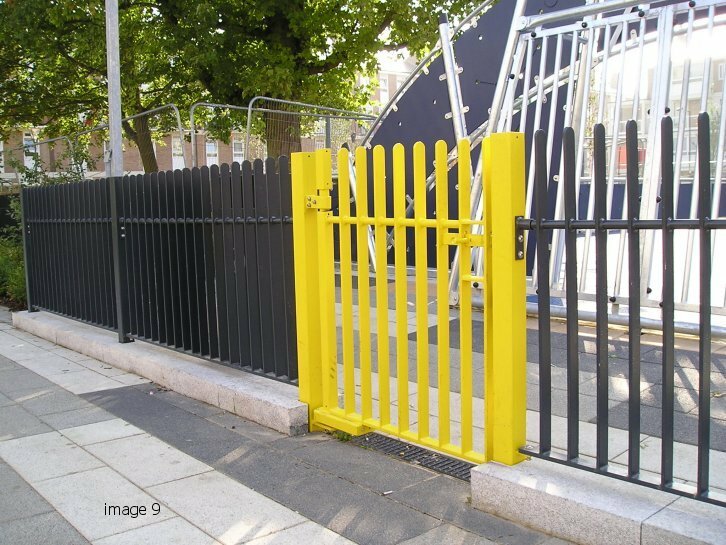 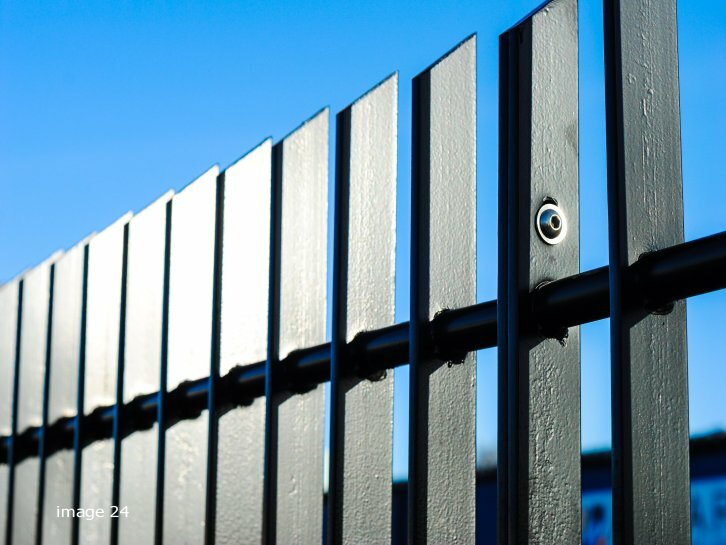 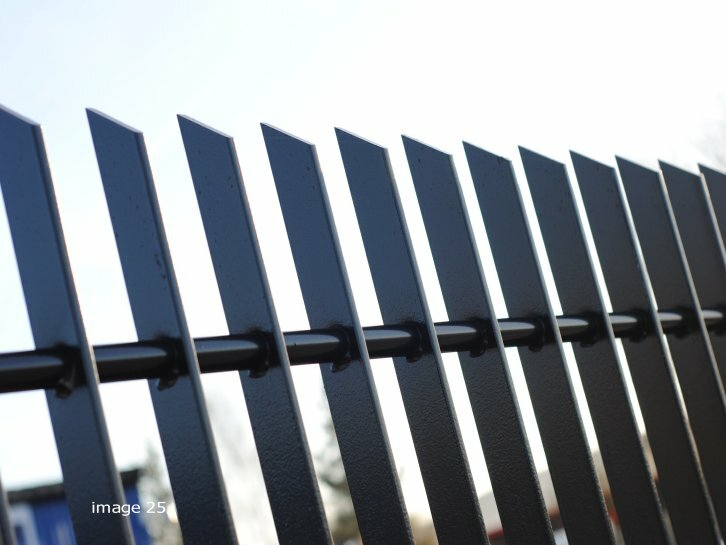 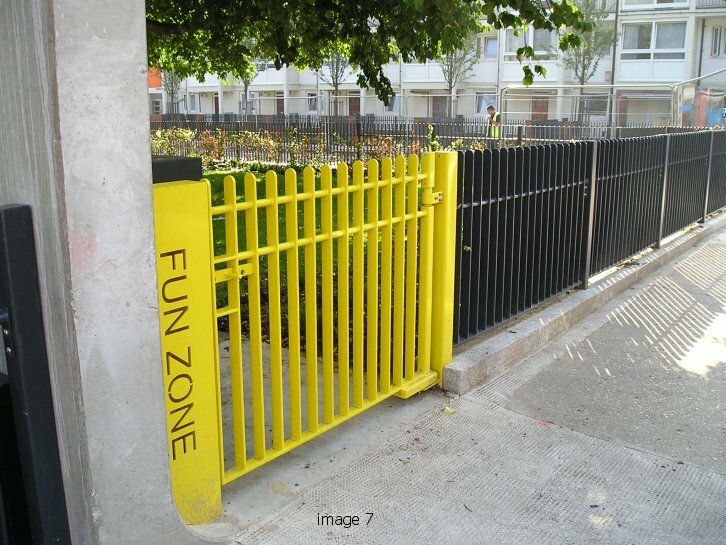 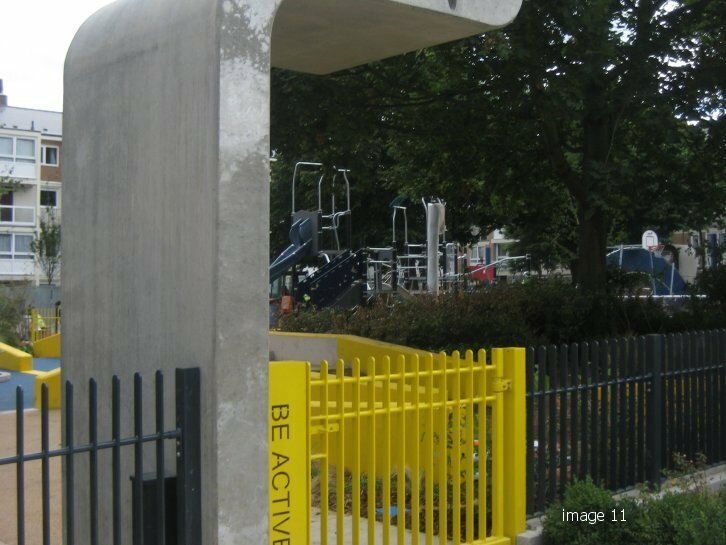 As with all our metal railings flat bar infill products are supplied hot dipped galvanized to give long lasting protection against rusting with the option of a polyester powder coat or wet paint finish to a colour of your choice from the standard RAL range. 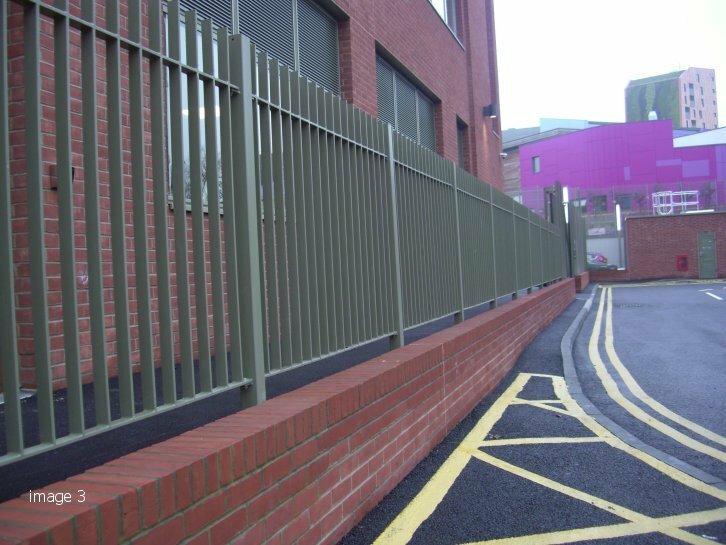 All of the metal railings we manufacture meet the relevant British Standard rating and are compliant with BS1722 part 9.